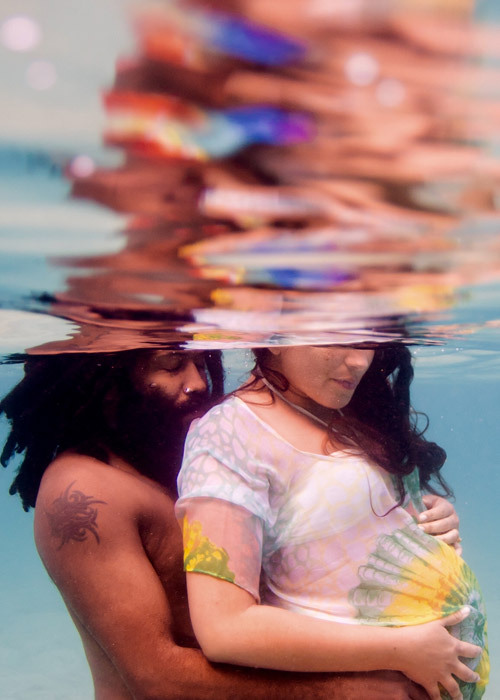 Juliana Lacerda Sobral (@juiceliana) is a bereaved mother, expectant mother, and lover of mother nature. Originally from Brazil and raised on whole foods, she's been a long time vegan and former director at @matthewkenneycuisine. Juliana believes in juicing, the power of raw foods, and preparing and eating healthy plant-based cuisine. She believes in spreading love through nourishment and consistent personal healing and growth. 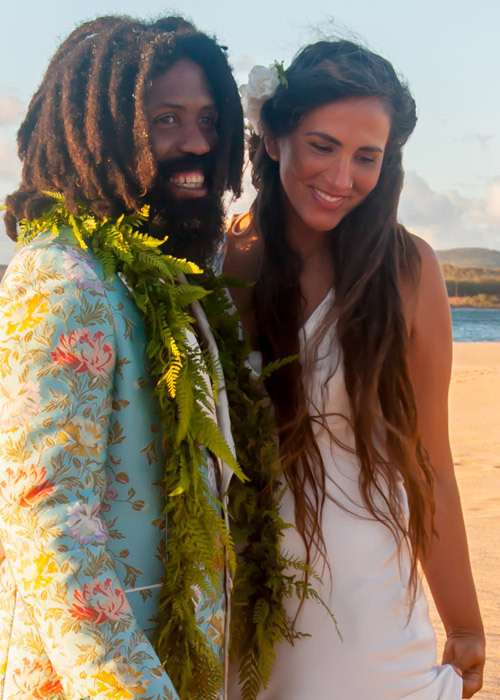 She is married to hip-hop artist MURS (@murs316). 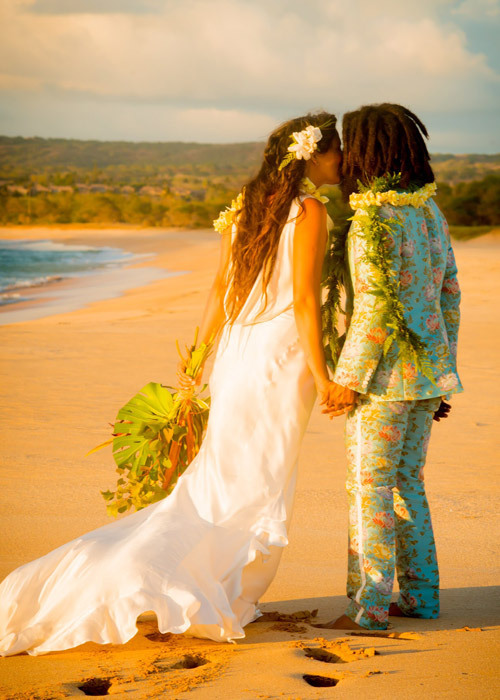 We check in with them about how they keep the LOVE, HEALTH, and COMPASSION in their marriage in the midst of their busy traveling lives. We met at a show in a small town in Virginia in 2006, when I was in college and MURS was touring. Describe what each of you do. 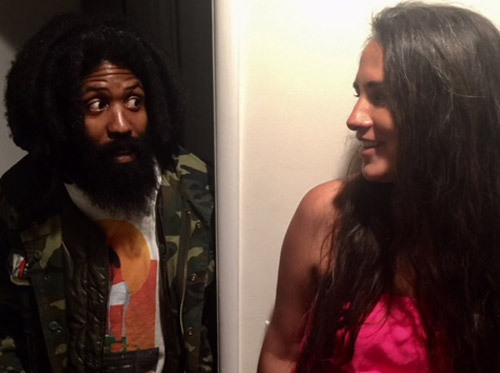 Murs is a rapper, HipHopDX Breakdown writer and host, and has his own Twitch Channel. He just completed his most recent album, A Strange Journey Into the Unimaginable. When he's not performing, touring, and creating music he's often plotting podcasts, and doing things like breaking World Records. He’s also a public speaker and just completed residence with Duke Performances (Duke University), and took part in several Duke classes and public conversation as well as an interview with a Professor of African & African-American Studies. He is headed to Oakland to speak at Google SoulFest and has participated in panels at ComicCon among other engagements. Juliana took a hard look at her workaholic lifestyle after the loss of their son during labor April 2017. Following careers in both Higher Education/Student Affairs and in the Plant-Based Lifestyle sector she realized how little space we hold for the sacred process of pregnancy and birthing in our modern lifestyles and has taken an important step supporting her husband's work and their home. She's frequently creating recipes and working toward a book to support those nurturing emotional pain through lifestyle choices as well as developing a home dining experience for friends, family, and community. She's currently expecting again and due in early April. JULIANA: I was fortunate to be born into a very natural family. Our mother came from a small farming town and grew up on real food, our father was also born in a rural town, he’s done a lot of his work on human and plant health and sciences and is currently the Director of the One Health Institute at Colorado State. They really laid the foundation for the way I related to plants, animals, and the way I prepared food. 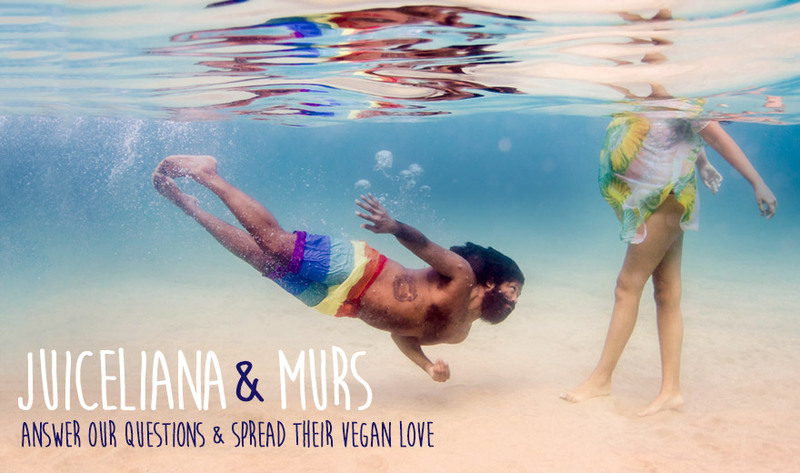 MURS: I was inspired to stop eating meat by a few public figures. So by the young age of 16 I was meat free for the first time in my life. Both of you travel a lot. How do you maintain health on the road? JULIANA: I usually research cities we are going to and options available there in advance. We find places with fresh juice, health food stores, and local restaurants that are producing high quality food. It's actually become a fun game of traveling in part for work and in part for the adventure, we recently drove through a winter storm just to get to Turtle Lake Refuge in Durango, CO for one of their bi-weekly raw food lunches before MURS had a show in town. We sometimes take probiotics with us, or some sprouted and dried nuts or fruit. MURS will eat whatever I give him so when I can't travel with him I usually send him off with things like travel sized BrainON or Blue Majik and other portable snacks to keep him going, I usually try to send him a list of good places that are near where he will be too. He really has an almost unsustainable travel routine so the 20+ years of touring and practice have made him an expert in efficiency and self-care, I just try to keep him encouraged and make it as easy as possible for him. JULIANA: Probably a smoothie, they're a really easy way to pack in a lot in a short amount of time and the flavor and nutrient combinations are endless. It's meditative for me to just get in the kitchen and create without recipes based on what we have that's fresh and some superfoods and spices. MURS: My favorite thing is soup, my wife makes a lot of soup, I could be very happy eating the same things everyday. She also makes a lot of salads, smoothies, juices, I really like when she makes superfood pancakes. 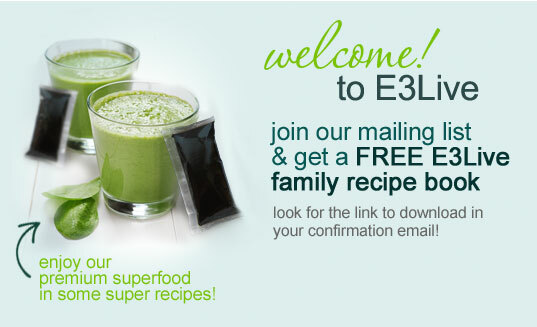 What is your favorite E3Live superfood? JULIANA: Blue Majik! I have been in love with it for YEARS! I really believe in colors and it's just such a rare one to be able to enjoy in natural food. MURS: Flyer's Armor. I don't like flying but have to do it often so it's nice to have something to take to cleanse myself from it. How do E3Live products help with performing for MURS and pregnancy for Juliana? 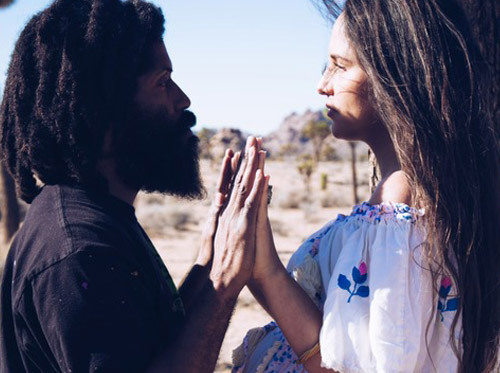 MURS: BrainON helps me juggle all the tasks that come in simultaneously on any given day, it also helps with recovery the morning after a show. It's good to know that first thing I got something great in because some days it's hard to stop and be mindful about each meal. JULIANA: E3AFA helps when I am feeling a little sluggish or tired and supports any drops in immunity I might be experiencing based on all that's required of my body. JULIANA: A genuine curiosity and fascination with my husband, being nurturing and caring for him the way he needs to be shown love and appreciation. MURS: Mutual respect and admiration, attempting to communicate, Pokemon GO. JULIANA: Giving birth, mothering, continuing to build our garden, recipe developing, and writing. MURS: My album A Strange Journey Into The Unimaginable comes out on my 40th birthday, March 16th, so I'm professionally really focused on that album. "BrainON helps me juggle all the tasks that come in simultaneously on any given day, it also helps with recovery the morning after a show." "I have been in love with [Blue Majik!] for YEARS! I really believe in colors and it's just such a rare one to be able to enjoy in natural food." JULIANA: This is a simple and quick recipe inspired by my lemon tree. Take fresh lemons and juice then freeze the juice into 1" cubes, this will allow you to make a quick lemonade anytime. Golden flax water is something I like to make by soaking golden flax seeds in water overnight, I think of it as morning lubrication for my digestive system and usually like to have it first thing. 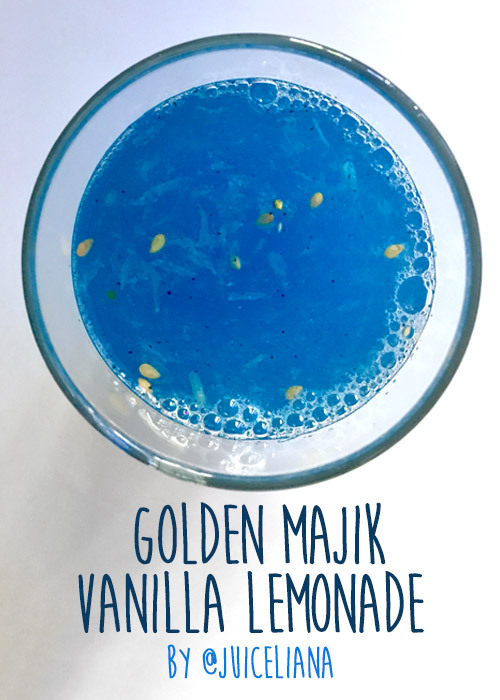 The addition of lemon and Blue Majik makes for a really fresh and vibrant way to start the day, it’s impossible not to smile when you see a cup of this! Kids love this recipe because it reminds them of little fish swimming in a lake. Add golden flax to water in glass jar and let soak overnight, this will create a slightly thicker water lubricated by the flaxseeds.Upon waking, shake the mixture until combined. Then add (3) lemon ice cubes, Blue Majik, and vanilla stevia. Top off jar with spring water and shake vigorously until combined, the ice cubes will melt in the room temperature water and provide a slight coolness. I prefer to have this room temperature/slightly cool versus cold for optimal digestion. Share with your family and enjoy! If you’d like to make these as popsicles: sub coconut water for spring water and double vanilla stevia then pour shaken mixture into popsicle trays. 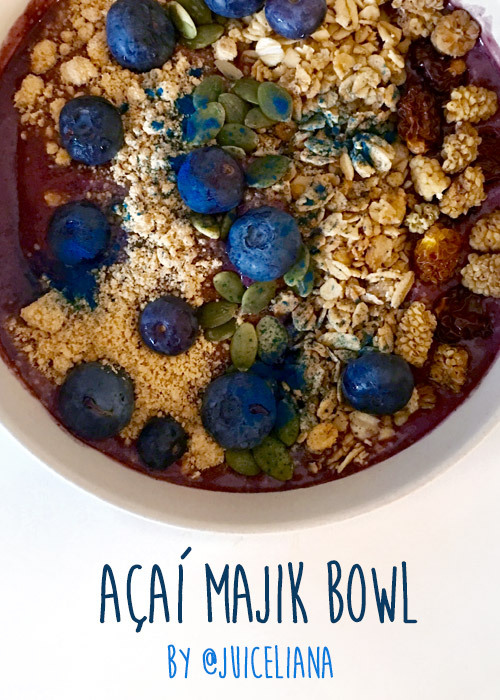 The rich purple of açaí and the vibrant blue of Blue majik make the perfect pair, you get to start your day with two colors we don’t get to consume so often- I always love the opportunity to consume the full spectrum. 10 ounces frozen dark sweet cherries, you can sub other berries but I like these because they don’t have seeds (pitted) and they contribute to the rich color. Blend in a high powered blender, you will have to mix as you go to blend evenly without losing thickness. If you desire a thinner smoothie add more water. Sprinkle of Blue Majik for extra magic.